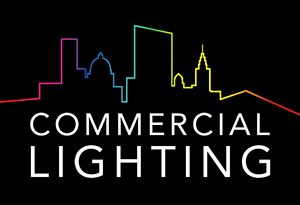 Over its 25 years in UK Manufacturing, Commercial Lighting Systems Ltd has become recognised not only for its high quality products, but also its ability to customise existing lighting solutions to suit individual clients’ needs. Building on this, we are now proud to offer SOVEREIGN BESPOKE, a unique service in which Commercial Lighting works closely with clients to develop sometimes entirely unique lighting solutions. This teardrop pendant is a recent example and features 25 hand blown glass shades, each illuminated by an energy efficient miniature LED light source. As part of the service, Commercial Lighting has also been able to bring a vast array of existing lighting fittings back to life by offering a retrofit upgrade to the latest LED technology, which has both saved the client the cost of complete replacement whilst also reducing waste. The company’s in-house powder coating plant and local metal fabrication and spinning facilities enable Commercial Lighting to offer a complete package to the client. If you have any ideas, or are in need of a lighting solution that is not currently offered, please get in touch and we’d be happy to start the conversation.